You will be surprised to know that hoarding is quite common. Today, more than 3 million Americans are suffering from this problem. It is a severe psychological disorder and keeps growing at an exponential rate. Homes of Hoarders can be untidy, unhealthy and a rather dangerous place to be. We at Kelley Klean have long experience of not only dealing with this disorder, but we have the expertise to assist the people who are suffering from it. Kelley Klean services the Columbia, Jefferson City and Central Missouri areas. We are available 24 hours a day, 7 days a week and 365 days a year for emergencies. We always approach the problem in a professional way. We start with a site visit to assess the situation by technicians equipped with experience handling different type of hoarding and clutter problems. When you contact Kelley Klean, you can be sure you will be greeted with compassion for your situation. Typically, we work directly with the client or with a psychologist, which help makes the process go smoothly. Once the assessment of the situation is completed, we give a prompt and competitive estimate of the work involved to our clients for their approval. With Kelley Klean, you can be sure that not only our rates will be reasonable, but the clear communication and quality workmanship is guaranteed. At Kelley Klean, we do much more than simply clearing out trash and junk. We are able to restore the property after the clutter has cleared. Many times, our clients will notice stains, offensive odors, mold, and other biohazards. When you choose Kelley Klean, we have the tools and supplies necessary to disinfect and restore the property to a habitable condition once again. In addition, We work closely with the target client and their families to find a long-term solution to the problem of hoarding. Not only do we approach the physical cleaning of the home, but will also work with trained professionals to ensure your place stays clean even after we leave. Besides the psychological side of the problem, there are others who also need help removing unwanted items from their homes. When dealing with seniors, the problems associated with de-cluttering assignments can be complicated. For them, the process of downsizing or moving can be traumatic. At Kelley Klean, our long experience of the emotional and physical challenges of dealing with a lifetime of possessions sets us apart from the competition. We work closely with our clients to help identify items that need to be thrown out or family heirlooms that are meant to be kept. We can help determine the things that you can sell, throw away or even better – donate for a good cause. We ensure your things will be safely moved to the new place with utmost care, and donate the rest of your belongings to a local charity or thrift store. When a senior passes away, they usually leave a home full of items, papers, and memorabilia that needs to be cleared. At Kelley Klean, we have cleared out homes of all sizes on large and small properties. We understand this is an emotional time and will treat each home with respect as we are cleaning and restoring the property. We strive to return the property to a livable state regardless if you are selling the home, or keeping it in the family. 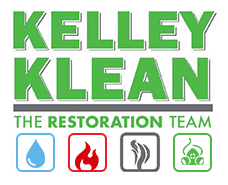 If you need assistance clearing out a home that has been damaged by hoarding, give Kelley Klean a call. We work closely with our clients to provide the proper amount of compassion while cleaning and restoring the property. Established in 1986, we understand the sense of urgency required to arrive on-time and restore your property; no matter what your unique issue may be. We also know that during the hoarding cleanup process, it takes a village to properly execute. That is why we coordinate our services with a trained psychologist, family member or professional that can assist our client in cleaning up their home. Over the 30 years of doing business, we have seen many extreme hoarding cases, and have the experience to address them all. Regardless of the severity of your situation, we are here to help. Ready to talk about our Hoarding Clean up Services? Need fast and professional furniture removal services? Give us a call at 573-214-0990 to speak with a Kelley Klean representative!